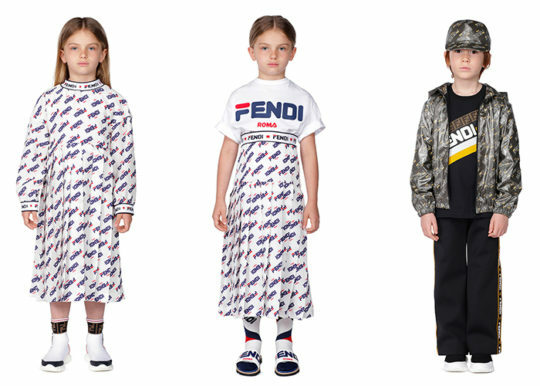 Kid’s Wear - Fendi Mania! Diary / Fashion / Fendi Mania! Watch out FENDI MANIA is about to take over with the Italian luxury fashion house re-appropriating the ‘FENDI/FILA’ logo created by Instagram artist REILLY! 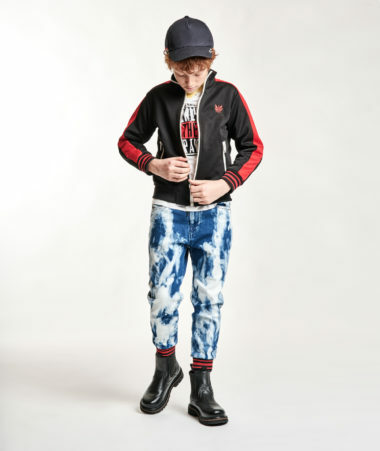 Peppered with sporty pop accents and references to music and art the dynamic collection becomes the protagonist of allover pattern. Pleated silk skirts boldly shout the brand spirit symbolising the upscale craftsmanship and exclusive materials. Pair the skirt with the coordinated logo T-shirt for maximum visual overload and clear FENDI MANIA street-inspired message. 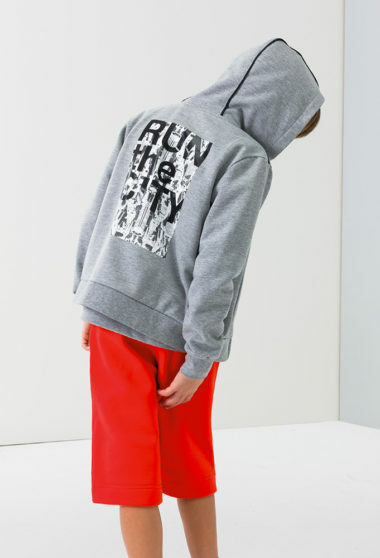 The collection includes ready-to-wear, shoes and accessories for Women, Men and Kids. FENDI MANIA has no age limit!